You can change the web admin's listener port here. This window allows you to set up the IP port(default is 5466) that the administration server will listen to. 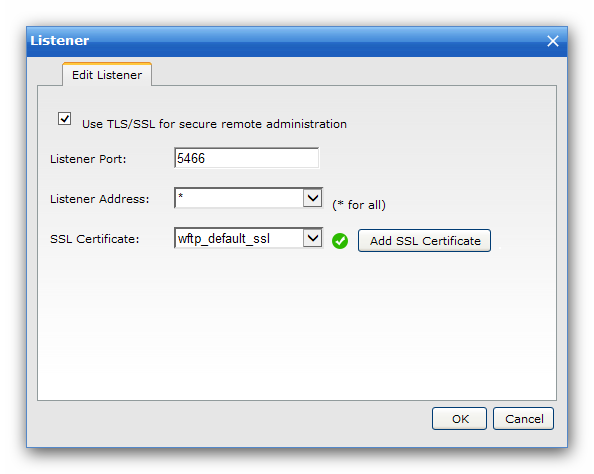 If you want to use SSL for remote administration, please check the "Use SSL for secure remote administration" box and specify an SSL Certificate.